Brand: Lorann Oils and Flavors L-352005 Units: 1 fl. oz. jar This natural flavor is produced in a base of vegetable glycerin and/or natural grain alcohol and contain no added sugars or fats. This flavor is designed to be used in cakes, fudges, frostings, fondants, cream centers, hard candy, ice cream and a wide variety of other baking applications. It is water soluble making it unsuitable for use with chocolate. This flavoring is potent, but only about 1/2 as strong as concentrated flavorings and oils. This natural flavor is produced in a base of vegetable glycerin and/or natural grain alcohol and contain no added sugars or fats. This flavor is designed to be used in cakes, fudges, frostings, fondants, cream centers, hard candy, ice cream and a wide variety of other baking applications. It is water soluble making it unsuitable for use with chocolate. This flavoring is potent, but only about 1/2 as strong as concentrated flavorings and oils. 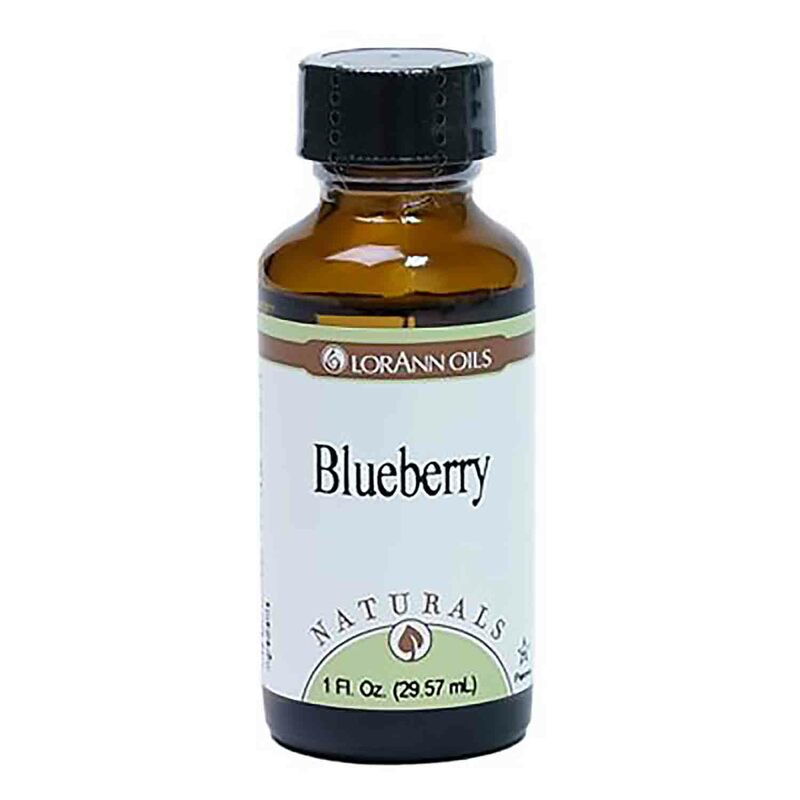 Ingredients: Vegetable Glycerin, Natural Blueberry with other Natural Flavors. No added or artificial colors. All flavoring ingredients approved for use by the FDA.